Olympian Michael Phelps To Coach At Arizona State University : The Two-Way The swimmer — who holds 18 Olympic gold medals — intends to join ASU's coaching staff after next summer's Rio Olympics. Michael Phelps swims in a 200 meter butterfly finals heat at the AT&T Winter National Championships at the Weyerhaeuser King County Aquatic Center on Dec. 5 in Federal Way, Wash.
Michael Phelps, the most decorated Olympian in history, intends to join Arizona State University as a volunteer assistant coach during the 2016-17 season, according to the Arizona Republic. That will follow his presumed retirement after the 2016 Olympics in Rio, Brazil, where Sports Illustrated sees him as a gold medal favorite in three individual events. 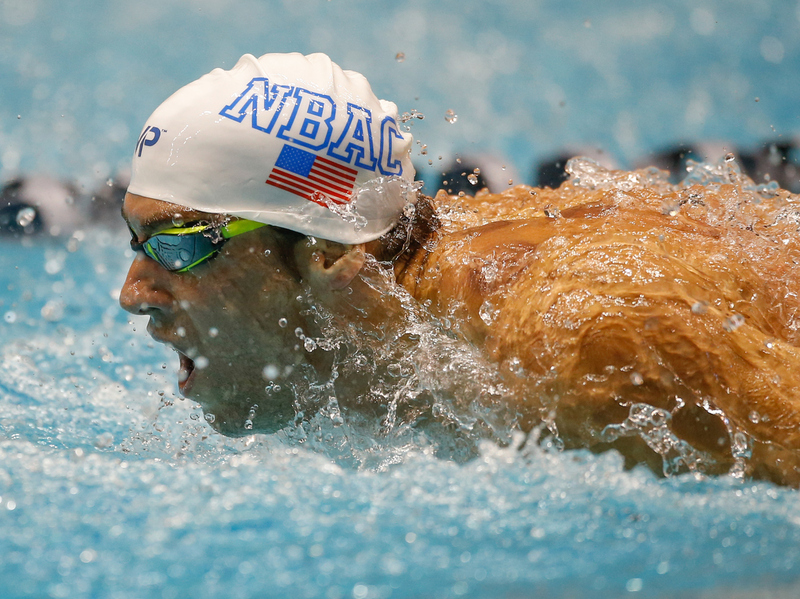 Phelps — who is 30 — moved to Arizona to train with Bob Bowman, the coach he has worked with for almost two decades. Under Bowman's tutelage, Phelps won 22 medals, including 18 gold. While he briefly retired after the 2012 London Olympics, he announced last year he would resume training. Out of the pool, Phelps has encountered challenges. In 2014, he was arrested for driving under the influence in Baltimore. It was his second DUI offense. Phelps subsequently entered a rehabilitation program. Earlier this year, he got engaged to Nicole Johnson, a former Miss California, and the couple is expecting a child. Bowman's move to ASU has already provided a recruiting boon for the university, according to the Washington Post, and Phelps' presence on the coaching staff will likely attract more star swimmers to Arizona.